My Review of The Prisoner of Azkaban on Goodreads. The first things that come to mind when I think of The Prisoner of Azkaban besides the Patronus charm (Expecto Patronum) are . . . The Knight Bus, The Marauder’s Map and The Time Turner. 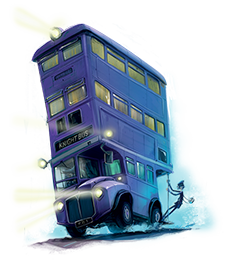 When Harry runs away from home living with the Dursleys, he is picked up by a hair-raising fast magical bus called The Knight Bus. Aunt Marge had said some insulting things about his parents, and that is when he blew aunt Marge up like a balloon. Expecting to be expelled or worse like sent to Azkaban for breaking the rules, he was shocked into complacency when the minister Cornelius Fudge not only doesn’t reprimand him but instead was very accommodating of Harry Potter and warns him to stay indoors because of a mass murderer, Sirius Black escaping from Azkaban. He ends up staying at the Leaky Cauldron conveniently located in Diagon Alley where he spends his last days of summer shopping for school books, including the Monster Book of Monsters which he will need in his 3rd year at Hogwarts. As consolation for Harry not being able to visit Hogsmeade during Christmas, Fred and George Weasley give Harry a map that will allow Harry to sneak into Hogsmeade. The Marauders Map shows Hogwarts secret passages, corridors, and rooms and it even tells you where everyone is. The map, made by a group of friends aka Padfoot, Moony, Wormtail, and Prongs. Included James Potter in their days at Hogwarts. Three of them are Animagi one is a werewolf. The Time Turner is Hermione’s secret she keeps from everyone. It was given to her alone by Professor McGonagall strictly to get to all her classes. It is a magical object that is probably as big as a pocket watch that she keeps around her neck and when she wants to go back one or two hours, a quick turn of the hourglass is all it takes. It is a vital object which aids Harry and Hermione in rescuing Sirius Black from the Dementors kiss and buck beak from execution. The Prisoner of Azkaban is the best out of three in the series so far. I loved Sirius Black aside from all the bad things we were led to believe about him at first. Excellent post or I guess I should say Brilliant! 🙂 I love the key elements of this third book as you mentioned here – the time turner, Knight bus, Mauder’s Map. The Knight Bus is great. It would be fun to ride on. First, I love the cover of your edition. I’ve never seen the covers of the books that make up the Hogwarts scene on the spines. I agree with you, although I have to boost the Marauder’s Map and Time Turner as my favorites over the Knight Bus. I had only made it part way through this book before and having finished it completely for the first time I found details of the story that I never knew before, a better on understanding of the backstory. From here out I haven’t read anything further in the series so I’m looking forward to starting the others. That’s great. 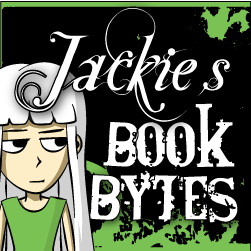 Thanks for taking part in the rereadalong! The Marauder’s map is incredible and it’s lucky Harry came to have it. I love professor Lupin and Sirius of course! I loved that Harry finally got the permission to go into Hogsmeade because of Sirius Black.